I used fabric from BOO! TO YOU! by My Mind’s Eye for Riley Blake. I’m going to post a tutorial for this after it’s finished. 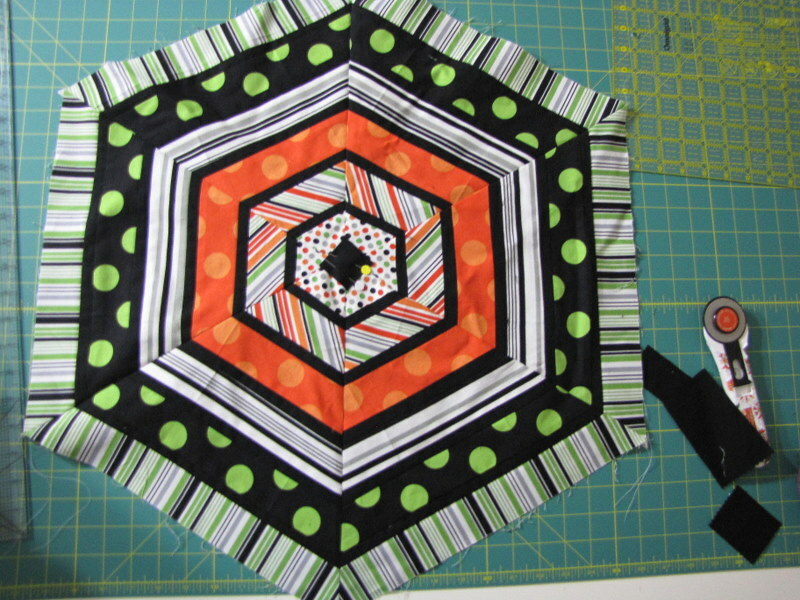 I’ve actually already quilted it, which looks very cool and webby with black thread. Now I just need to bind it. Hopefully I’ll get to that this weekend during Adam’s 24 in 24 marathon.